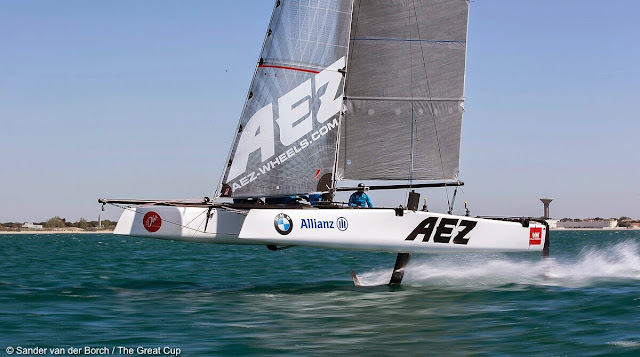 There is also no doubt that the Extreme Series sould migrate their foils too next year, maybe they'll change the boat? Sander van der Borch is at location taking some incredible pics as always, Also I asked FP & GC32 designer, Martin Fischer, to describe in short these new foils. 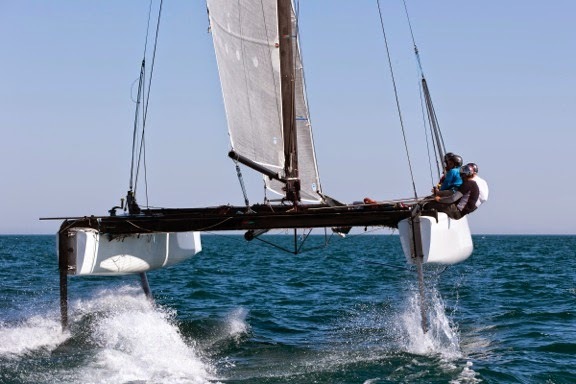 We therefore went for a configuration that has a relatively low take-off speed (upwind foiling in moderate conditions) and that is inherently very stable in heave and pitch. 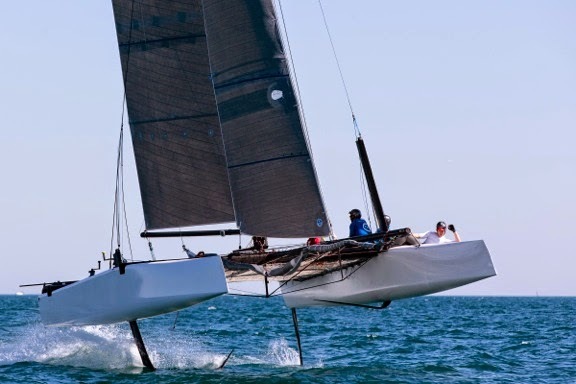 We are aware that a very stable configuration with a low take-off speed has a lower top speed, but compared to a non-foiling setup we are quicker anyway at high speed. So the goal was to configure the boat such that she can beat her non-foiling competitors even in lighter winds. 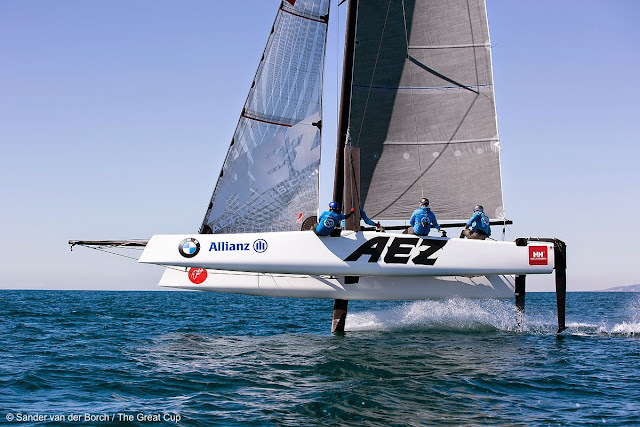 This approach is similar to what we did on Groupama-C for the Little Americas Cup. To do proper racing with a foiling catamaran it is important to be able to concentrate on tactics and not only on "keep flying". 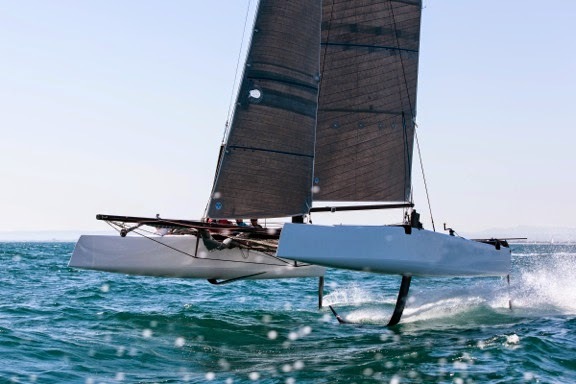 On a boat without hydraulics it is therefore important to achieve stable foiling without permanently adjusting the foils. The usage of the foil adjustment on the GC32 is basically a "set and forget". 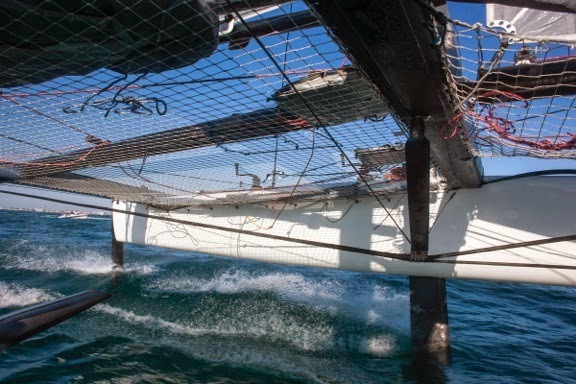 The crew can adjust the foil rake during sailing and they will obviously use that possibility to adjust for the wave and wind conditions and as a function of the true wind angle, but there is no need to permanently trim the foils. We achieved this by working a lot on the strut (vertical part of the foil) and tip (horizontal part of the foil) angle and on the wing section shape used in different areas along the span of the foil. The engineering was done by Brett Ellis from Sydney."